Why do people meditate? Is it because they need to de-stress—or is it because they want to work smarter and be more productive? It actually can be both and much more. Many benefits can’t even be measured. 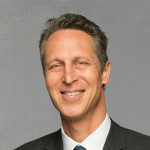 But, it is a common experience that if you meditate you will feel better; you’ll feel more relaxed, calmer, and focused. 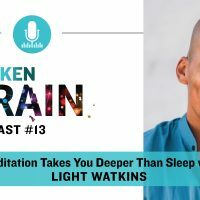 Today, on The Broken Brain Podcast, host Dhru Purohit and expert meditation teacher and author Light Watkins have a deep discussion about the power of meditation in your life. Light and Dhru talk about the history of meditation, different meditation types (including the style Light teaches), and very practical tips on getting started. Light explains why meditation elicits a relaxation response that is deeper than sleep, why it’s important to have your back supported and sit in a comfortable place, and how his community events called The Shine are wholesome places for people to come together to lift each other up. I hope you enjoy this conversation as much as I did. Some people say they don’t have time to meditate and I say that I don’t have time to not meditate. I’m much more productive—and happier—when I do. You can find this episode on iTunes, Google Play, and Spotify. PS – Find Light Watkins online, read his book Bliss More, or join him in person at The Shine. Light also hosts international meditation retreats in beautiful places around the world!